I think those three words, Crazy, Hectic and Emotional pretty much sum up my week. Where do I start..the facebook page has lit up and continues to do so..simply every minute of every day and night since last Monday I have had a notification that someone somewhere has liked the post or page...that is crazy. Little old us, making our liqueurs at home have somehow generated over 2 million views of that post. I cannot thank people enough. Even Friday night I was in the hotel restaurant with Leah and Chlo and I put a comment on the post thanking people and within a few minutes that had over 500 likes and nearly 100 comments wishing us well. I sat there very emotional as I tried to get my head round it. We are just a small family business having a go. What it all means and where it will take us I have no idea, we will simply continue to do what we have been doing. I have had people tell me I need to start marketing to these people and offering discounts to get their orders etc and to capitalise on this. It's amazing how people become experts, I'm honest, I don't understand it all but my view is very simple, (I've been called simple a lot), If people like what we do and are thinking of buying then they will make their own mind up, they don't need me to pressure them etc sorry if that goes against the marketeers handbook but I'd rather ready the Dandy annual. We were at a couple of shows last week, Waddesdon Manor and Leamington Spa. At Waddesdon we were there Wednesday through to Sunday in a wooden chalet. The manor and grounds were truly stunning. As if our week couldn't get any more crazy we were briefly filmed by channel 4! I slipped the cameraman a bottle off Toffee Vodka so hopefully we make the final edit. Watch this space. Leamington was a one day show which coincided with the Christmas Light switch on, this was a great day too. We are back at both of these this week. 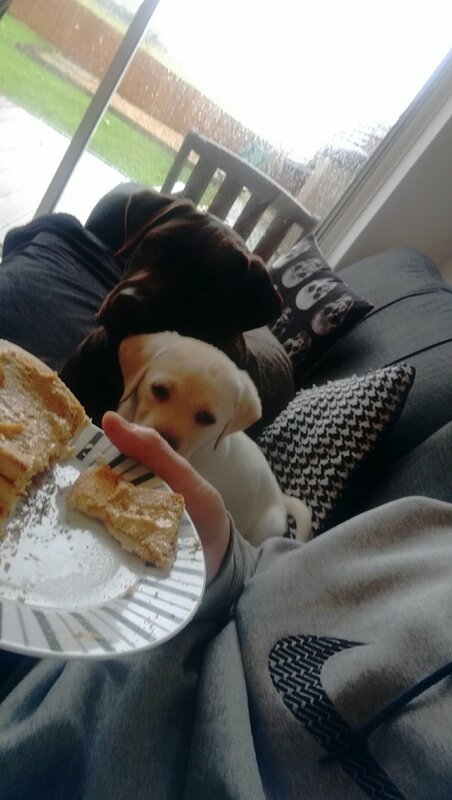 On the puppy front all is good, Flo is learning quickly, Ralf has taught her that staring at me whilst I'm eating my toast, giving me puppy eyes results in toast for them and less for me. Back to the grindstone and next Monday will be in Wales, but that's for another post.